Like a lot of people who live in Phoenix, I left Minnesota to get away from snow and cold. And as a teenager, that's all that I thought about. Then, little by little, I wondered why there was such a big city right in the middle of a desert? My interest in history has made me do some careful research over the years, and I'm still learning. And Phoenix has been so successful, that just about all of the traces of how it came to be have been hidden. And, really, that was the point. Phoenix is an oasis in the desert that sits on the edge of a watershed. So, if you live in the Phoenix, Arizona area and wonder why it's here, when it doesn't appear to rain very much, you really can't be blamed for being puzzled. 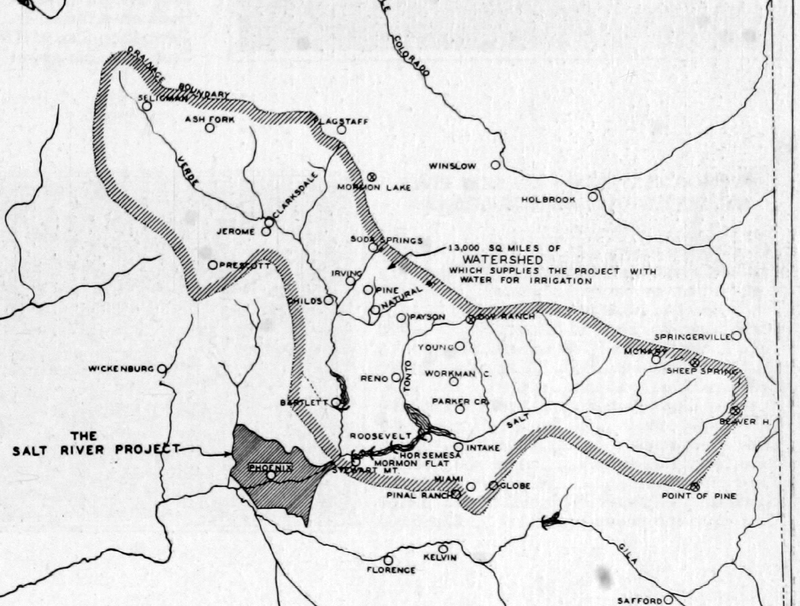 The watershed for Phoenix, Arizona. The most common misconception I've heard is that the Phoenix, Arizona area was a lush, green, landscape with flowing rivers, etc., before it was ruined by people. That's simply not true. The Sonoran Desert has been a harsh, hot, dry place for over 10,000 years. 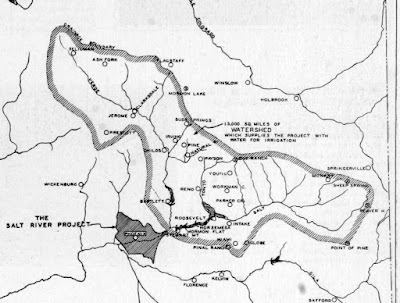 But its secret is that it sits next to one of the largest watersheds in the world, the uplifted area northeast of the valley. And what people have been doing here for a very long time is capturing that water, storing it, channeling it through canals, and using it. The Arizona Canal at 7th Street and Northern, Phoenix, Arizona. Personally, I see the canals of Phoenix everywhere. But most of the people I've known hardly give them a thought. 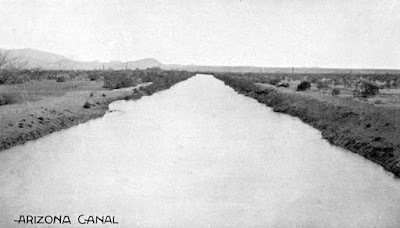 And many people think that the water in the Arizona Canal, or Grand Canal, comes from the Colorado River. It doesn't. It comes from the Salt and the Verde Rivers, which have been flooding this valley for thousands of years. As I drive around Phoenix, in addition to canals, I see flood control areas. If you've lived in Phoenix for a long time, you know that flooding is a real concern. 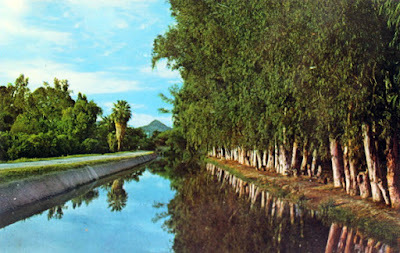 But these places that control flooding are mostly disguised as parks, such as The Sahuaro Ranch near me in Glendale, or the Thunderbird Paseo Park, which is a gigantic flood diversion channel. Yes, Arizona is a dry place. If you drive outside of the oasis of Phoenix, you see that. But the Salt River Valley is an oasis. And if you live in the desert, it's a good idea to stay close to the oasis. That's what I'm gonna do. Thank you to my patrons on Patreon who help support History Adventuring! To support History Adventuring on Patreon, please go to patreon.com/PhoenixHistoryAdventuring. Thank you!